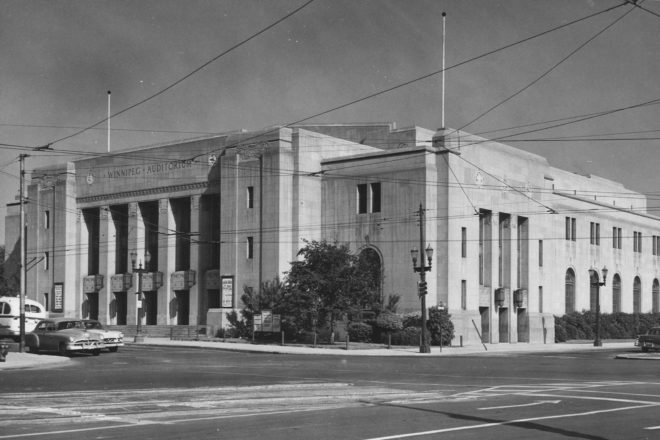 The Winnipeg Civic Auditorium opened in 1932 and served as a cultural hub for the city. Winnipeggers came here for art shows, concerts, conventions, sporting events, food relief and roller-skating. The province bought the building in 1970 and it has been home to the Legislative Library and the Archives of Manitoba since 1975. Library materials celebrating the building’s design and history will be on display, as well as materials celebrating the 100th anniversary of Legal Deposit, the provincial program that ensures the published heritage of the province is preserved and made available for Manitobans now and in the future.